GREENVILLE – Greenville head football coach Aaron Shaffer is the district’s new athletic director. Shaffer was approved unanimously 5-0 on Thursday night at the Greenville City Schools Board of Education meeting to take over the position beginning Oct. 29. He succeeds Dusty Yingst, who is leaving the district to work for The Light Foundation. Shaffer is resigning from his teaching position as a 7th and 8th grade math teacher effective Oct. 26. He also will step down as football coach effective at the completion of all football related activities and duties associated with the 2018 football season. Shaffer’s contract is for a two-year period for the 2018-19 and 2019-20 school years at a salary of $71,000 for 220 days. The first year is prorated to the days worked during the 2018-19 year. 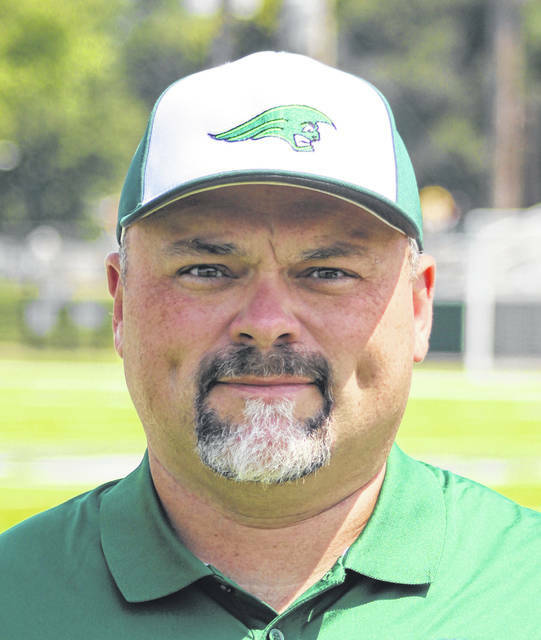 Shaffer is currently in his seventh season as the Green Wave’s football coach. His overall record coming into the 2018 season was 17-43 and the team is 3-5 this year with two games to go. This will be the first time Shaffer has held the position of athletic director. “I have always worked hand in hand with the athletic director,” Shaffer said. “I’ve always been one that if there was any slack to pick up or help was needed that we pitch in and help do some of those things. There is learning curve ahead and a lot of things on that side of the desk that I still have to learn and figure out, but I am confident with the support of the administrative team and Dusty and with my experiences that we’ll be able to go forward and get on our feet quick to make sure that our winter programs have the season they deserve to have and get our spring sports going as well. Shaffer said there was some discussion whether or not he would remain as football coach as well. This entry was tagged Aaron Shaffer, Dusty Yingst, Green Wave, Greenville, GWOC, Miami Valley Conference. Bookmark the permalink.